You asked for it! Here is the recipe for my Nana’s Chicken Polynesia, which she serves with little rice balls. It is SO GOOD! Thanks Nana! Because I’m on Rachael vs. Guy Kids Cook-Off on Food Network, I’m not allowed to make cooking videos until the end of the year, so this is just a recipe. But as soon as I can, I’ll make a video for this and post it! Thanks for your patience! 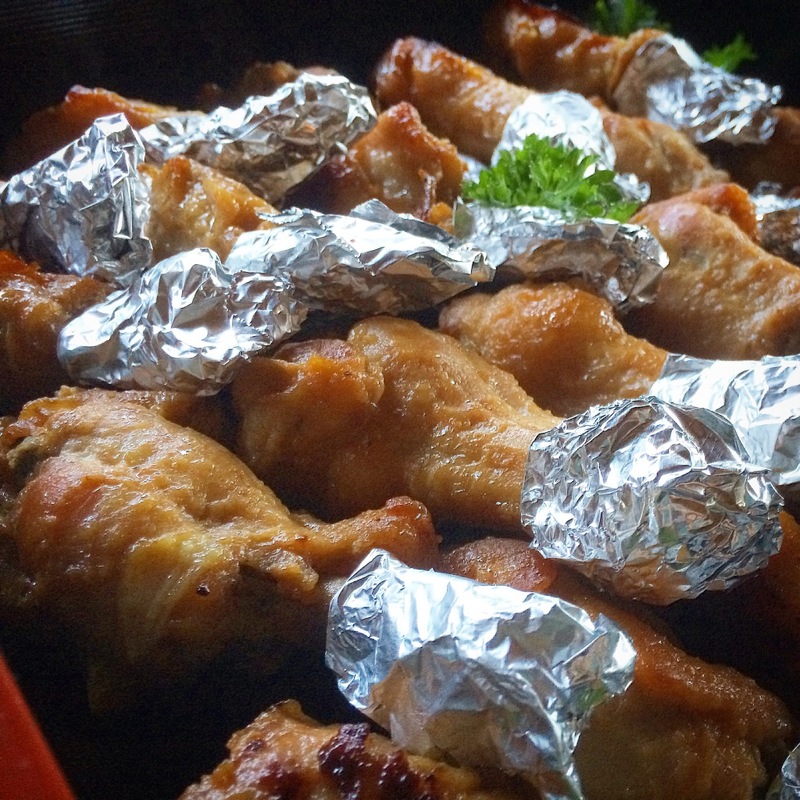 My nana makes these sweet and savory chicken drummettes that are marinated in a pineapple-soy marinade and baked for hours! They are a party favorite but you have to hurry because they always go so fast! Mix sauce ingredients on stovetop to melt sugar. Place chicken in a casserole dish. Pour sauce over chicken, just enough to cover chicken. Cover with foil or lid. Bake for 30 min at 400°, then 2 hours or so at 350°. Flip over several times. Remove foil for last 30 minutes of cooking. If you want to do it like my Nana, put little pieces of foil on the "handle" so your guests don't get their fingers dirty when they eat it! do you have a video??? Emily, she can’t post videos because she’s on RvG. Kids. OMG Looks amazing by the way!!! !